Unless the full 1,500-page report of the Egrant inquiry is published, there will remain important unresolved questions, some of which have been highlighted by the sons of the late Daphne Caruana Galizia. However, the Nationalist Party needs to take important decisions now, with the information to hand. The most prudent course is to accept, provisionally, the key conclusion – that there is no discernible link between Egrant and the Prime Minister and his wife – while continuing to insist on the report’s publication (even if certain key details are masked). Of course, any falsified documents need to be investigated impartially. That’s why it has always been important for the police to investigate all the leaked FIAU reports. If these reports are false or malicious, then action can be taken against whoever is behind them. But that can’t be done without the police investigating the claims properly. If the PN does provisionally accept the inquiry’s key conclusion, where does that leave Simon Busuttil and the political party he once led? There are seven questions to consider (as matters stand on Tuesday morning, at the time of writing). (1) Did Busuttil lie when he took up the Egrant story broken by Caruana Galizia? No. To tell a lie is to tell an untruth that you know is an untruth and to do so with malice (if you have good intentions, it’s a white lie). All the evidence points to Busuttil believing what he said to be true. Labour says otherwise – but not even all Labourites. Miriam Dalli MEP, in writing to the EP President, Antonio Tajani, accused Busuttil of ‘blindly believing’ the Egrant story. My own strong impression is that, among those that fault Busuttil – especially in the PN – blind belief is seen to be the cause. That means that if Busuttil is to be faulted it is of being uncritically ready to believe the worst of his opponent, not of lying. If anyone insists Busuttil lied, the onus is on them to prove it. If they do, they would have performed a public service. Until then, saying he lied is spin. (2) Did Busuttil behave irresponsibly? The worst that can be said of him has been stated by the PN MP Claudio Grech: it was an error of judgement to make Egrant so central to the PN’s strategy; but it would have been incomprehensible not to take the case up vigorously. In other words, an error of judgement in execution but not a politically cynical stratagem. By the time Busuttil made Egrant part of his political platform, many in the country – a minority but a significant one – had long believed (and still do) that Egrant was linked to Joseph Muscat. The ‘Lord Egrant’ jibes began as soon as the Panama Papers were revealed, a year before the Egrant story itself. Call it confirmation bias (the psychological mistake of seeking evidence to prove your desire right) but it was widespread and it all preceded Busuttil’s taking up the cause. If he hadn’t, his own party would have called him irresponsible then. The PN – including some who are senior officials now – embraced the Egrant story as true. The PN cannot call Busuttil irresponsible now without seeming unprincipled. (3) Did Busuttil make himself party to the worst lie in political history? Let’s say Egrant was based on lies from start to finish. Was it the darkest hour of our political history? No, no matter what angle you take. If you consider it a political frame-up: the police frame-up in 1986 of an innocent man, Pietru Pawl Busuttil, for murder is obviously worse than a frame-up for graft. If you consider it an attack on a political leader and his wife and family: the 1979 physical attack on a leader’s wife, Mary Fenech Adami, in front of her young children, is obviously worse than an accusation that a magistrate can investigate. If you consider it as an irresponsible act of leading people to mass meetings on the basis of what turned out to be a big lie: organising mass meetings on the basis that the EU membership referendum was won by Labour’s alternative ‘Partnership’ – as One TV claimed explicitly – has to be worse. In this case, Labour politicians, including several who are now ministers, knew it was a lie. (4) Did Busuttil bring the country to its knees? Irrespective of who deserves the superlatives, is Busuttil to blame for the domestic political tension and international opprobium heaped on Malta because of corruption-related issues? No. The international doubts about Malta’s probity have been fuelled by the incomprehensible inaction against Schembri and Konrad. Had political and police action been taken in those cases, Busuttil would have sounded hollow to everyone. After that, a police investigation would follow if only to establish innocence and to clear reputation decisively. (5) If Busuttil made an error of judgement, does that make him unworthy of being an MP? Unless Busuttil has broken a law that disqualifies him from holding public office, only his constituents decide if he is worthy of representing them. His voters should remember that, in practice, his legal requests for official inquiries into corruption charges would be considerably weakened if he were not an MP. 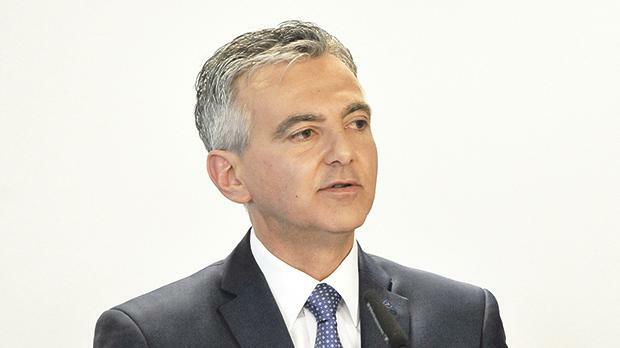 (6) Should Busuttil suspend himself from the PN parliamentary group? The request makes no sense on a formal basis. Only the party can withdraw the whip. MPs cannot suspend a whip they don’t hold. (If they could, discipline would be impossible). It makes no sense to say “nobody is more important than the party” to someone who doesn’t volunteer to leave. To show it’s more important all the party has to do is to expel him. (7) Should the PN expel Busuttil? Let’s consider a few British examples of political judgements more disastrous than anything Busuttil can be accused of: Anthony Eden and the Suez Canal crisis (1956); Tony Blair and the Iraq war (2003); and David Cameron and the Brexit referendum (2016). In the first and third cases, the price paid was resigning as Prime Minister and party leader. In the second, not even that. The first two cases probably involved misleading Parliament. In all cases, even after the most damning evidence came out, not a single ex-leader was expelled from his political party. All three ex-leaders resigned from Parliament at a moment of their choosing. Indeed, Eden even considered standing again for Parliament. Busuttil has paid the same price for whatever misjudgement he committed. He resigned as leader. He has been stripped of frontbench status. If he is to be made to pay a steeper price than politicians who made disastrous military and economic decisions, some cogent reasons had better be offered.